The tan paint is peeling from this brick wall. 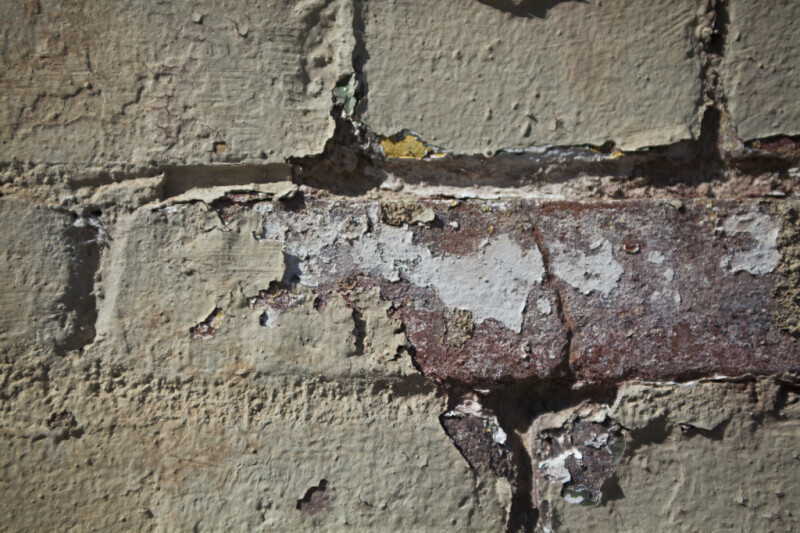 Beneath the top layer of paint, there appears to be evidence of previous green, and yellow layers. The white patches are either primer, or the oldest layer of paint.